Country Acres is a hard-to-find brand of pet food originally manufactured by Mars PetCare, Inc. References to this brand of pet food are slim; however, when we last checked it was referred to under the label of PMI Nutrition Inc., a subsidiary of Purina Animal Nutrition LLC, which is owned by Land O Lakes Inc.
Company: Land O Lakes Inc.
Has Country Acres Ever Been Recalled? Yes. In 2008, this brand was involved in a recall by Mars Petcare for potential salmonella contamination. Cause: Potential for salmonella. Announcement: FDA report. 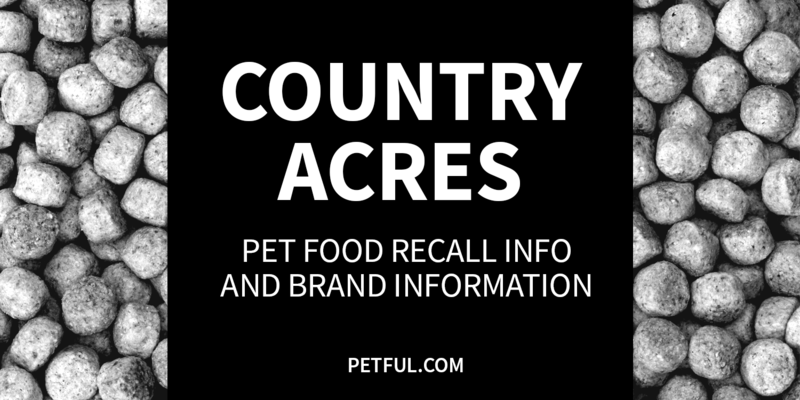 Recalled: Country Acres Cat Food, Country Acres Ration Dog Food, Country Acres 18% Dog Food, Country Acres Hi Pro Dog Food. Have You Had a Problem With Country Acres?